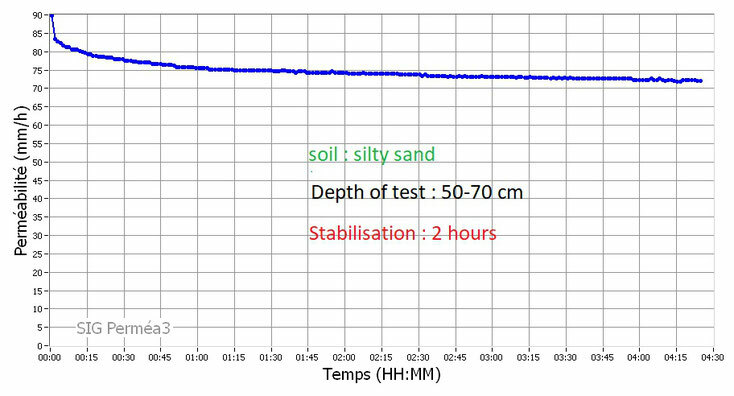 The percolation test, or permeability test, is necessary for the estimation of the absorption rate of the soil for the septic drain field, or for surface water soakaways. Before digging pits, the PERMEA3 is the instument which will give you the exact idea of K, the permeabiity coefficient of the soil. BORE auger HOLES BEFORE DIGGING PITS ! In the UK, the determination of the field saturated conductivity Kfs is imposed by the BS627 percolation test. 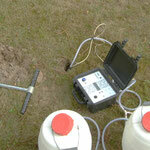 This test is destructive, consists in digging pits, and trenches to simulate the real field conditions of percolation. 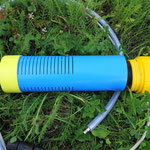 Testing the permeability with the PERMEA3 only needs auger holes of 100 mm in the field or the garden. The test must be done at the depth of the projected drainage or soakaway, and repeated to be able to evaluate the variability of the soil permeabiility coefficient. 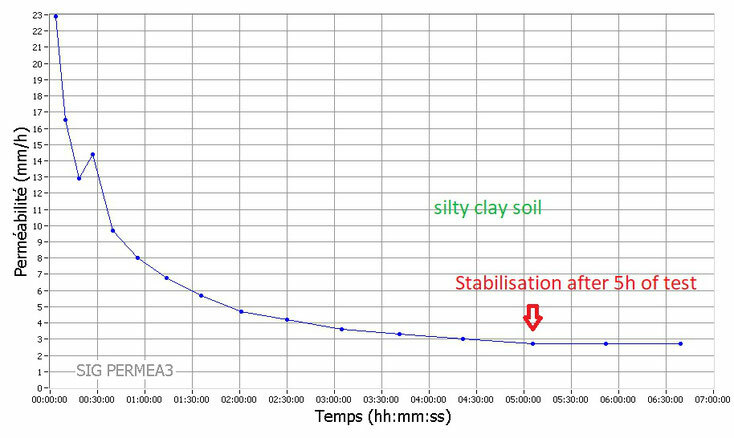 With the PERMEA3 you will see the stabilisation phase of the soil saturation. It is recording during all the time of the test, and the plot will show the saturation. 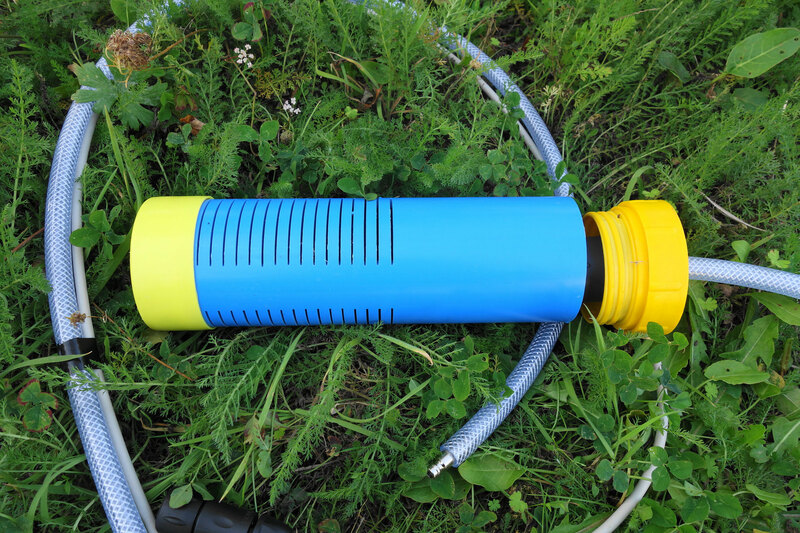 It may need hours before the saturation is reached, but as long as you have water in the 25 liter reservoirs, the permeameter has enough battery to last several days. 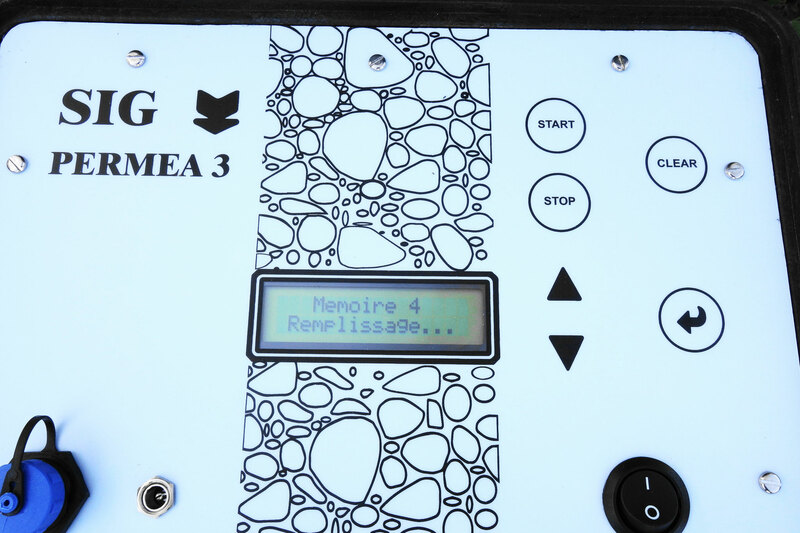 The PERMEA3 has 4 memories of 250 points. These memories can be coupled when you think that the test may use up more points like is high permeability conditions. 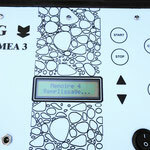 The data are transferred by the USB port and the software provided with the instrument plots the results.